Doctor Who: The Unused Ninth Doctor Theme Tunes | Warped Factor - Words in the Key of Geek. All the evidence seems to point out that this was a trial, a sort of test run for the piece we'd eventually hear from Rose-The Parting Of The Ways. But why was it jettisoned? "They decided they weren't happy with using the old theme. They kept saying things like 'We still haven't found something, so if you've got anything...' But I really didn't want to have anything to do with it. That piece is so complete on its own, it's like a piece of electronic art. And also, it's a piece in which the arrangement of the tune is everything, with no disrespect to Ron Grainer. So doing a new arrangement of a piece where the arrangement is everything... it's quite difficult, really!" Gold began work on creating something suitably modern with recognisable elements of the past. Which exactly did he use? "One day, the parts turned up on a CD; Mark must have sent it over. I used the electronic 'scream' at the start, the famous swooping top line, the organ harmony underneath, the bass line, and the 'time tunnel whoosh' at the very end." "Mark" is of course Mark Ayres, former Radiophonic Workshop composer and now archivist who contributed scores to the Seventh Doctor stories The Greatest Show In The Galaxy, Ghost Light and The Curse Of Fenric! And he later explored the roots of that 'scream' as part of his history of the Workshop itself. "The sound consists of two elements, a rising bubbling sound and a descending scream effect. First of all, let’s deal with the rising bubbling sound. The process used to create this was very simple. The first couple of notes of the closing titles (as the theme melody enters) were copied onto a new piece of audio tape. This was leadered, then flipped over so that it played backwards. The output of the tape deck was then fed into a frequency shifter set for a downwards shift at a short delay, and fed back into itself. When the tape was played into the shifter, it came out the other end milliseconds later with its pitch shifted down slightly. This output was fed back to the input and so on, creating a downwards cascade of ever more distorted sound. This was copied onto a new tape, and when this piece of tape was in turn flipped over, Delia was left with a rising flood of sound starting very distorted and slowly resolving into the opening couple of notes – this was then spliced onto the beginning of the theme. The downwards scream was created in similar fashion. The source sound is a downwards-sliding hard-edged tone produced using an audio oscillator. Again, this was fed into the pitch shifter with very short delay, a downwards shift, and heavy feedback. Aliasing distortion within the shifter added to the overall effect. The result was mixed with the rising echoes to give the sound we are all familiar with." And it's been part of the make-up of the theme ever since The Ambassadors Of Death! The same can be said for the music by Murray Gold. It’s not quiet; the music is not occasional or ‘incidental’—it’s an integral layer. Melody and dialogue happen at the same time. It’s not safe; there are over 30 identifiable musical motifs in the first 13 episodes. Half of the motifs are used in more than one episode, and most actively support story arcs"
And what of that music, including the theme which was incorporated in place of the trailer arrangement? "This music that connects them weaves through the series, and is eventually shown to be rooted in the ‘Bad Wolf’ story arc. 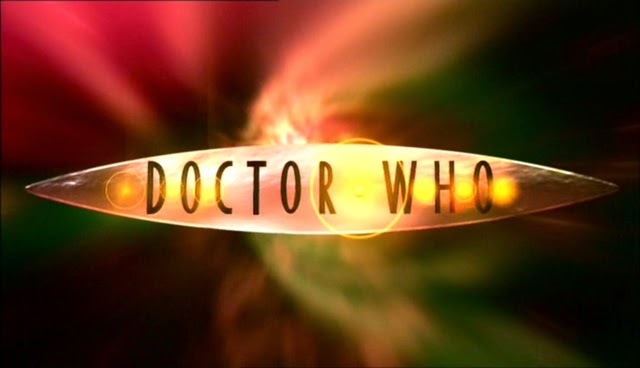 The ‘Bad Wolf’ motif returns (with some modulations) with Rose’s first entry into the TARDIS; the motif is also suggested (in a brief pair of notes) at the climax of the episode, when Rose decides to actively help rescue the Doctor. At that point in the series, it just appears to represent the attraction of the alien Doctor for Rose..."
Interestingly it appears Gold came aboard very late in the production process! "Rose was produced as a particularly early episode, and was intended to be screened in advance of the season by potential broadcast network customers. On the other end, Murray Gold was brought into the project late; his score was to be used very soon after his hiring. The time constraints for the episode as ‘demo,’ and the fact that it was the new series’ first episode in general, may have affected the composition and application of the episode’s music; most of the succeeding episodes are more musically nuanced." But this wasn't the only variation on a theme floating around a decade ago. You may also remember that Rose was leaked over the Internet three weeks before it was due to hit our screens! The BBC's own entertainment page reported the story and it even made the national news. The theme used for that rough version of the episode was a spruced- up version of the original Delia Derbyshire theme, this time by Mark Ayres. And in case you're wondering the source of the leak was promptly given the order of the boot by the Beeb! "After a thorough investigation by BBC Worldwide's Canadian broadcast partner, the source of the leak of episode one of the new Doctor Who series has been traced to a third-party company in Canada, which had an early preview copy for legitimate purposes. The individual responsible for the leak has had their employment terminated by that company as a result."